NTT Inc. - Troubleshooting Electrical Control Circuits: Do Your Workers Need More Education? There are several reasons why your business equipment malfunction. Mechanical parts can wear out, parts can be damaged by abrasion or impact, and wires can overheat and short out among many other reasons. When your equipment fails, you will need it to be fixed and start working again as soon as possible. Faulty equipment can affect your entire assembly line and cause loss of revenue. To avoid unexpected downtime, you need employees that can troubleshoot and repair your equipment immediately. 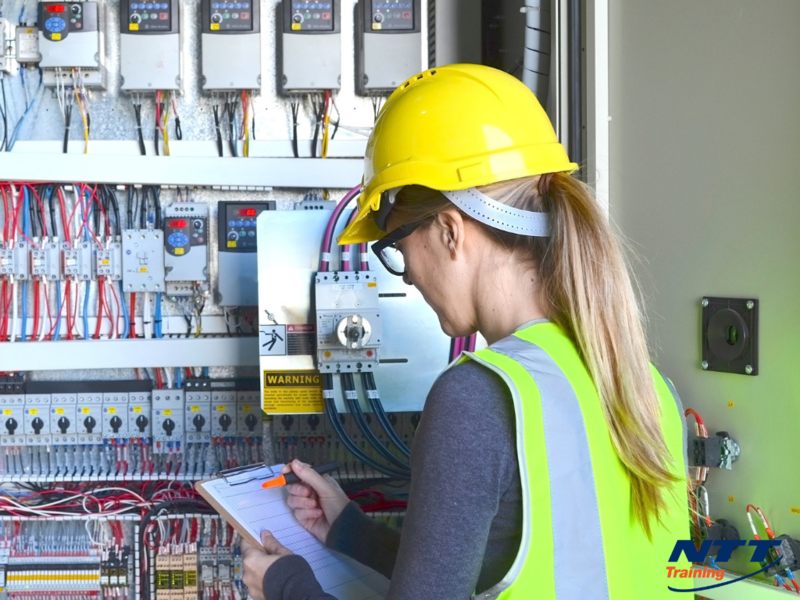 As trained troubleshooters, your employees will be able to find any fault with electrical control circuits within a reasonable amount of time. Additionally, they will know how to repair the defective components. Training your employees is important to ensure that they are good troubleshooters. Eliminate electrical hazards: Faulty electrical circuits can cause arcs that can injure your employees. However, trained employees recognize potential risks and know the steps to take after a circuit break down. Reduce downtime: Defective electrical circuits can cause your entire assembly line to go down. This means that your business will incur losses every minute it’s not in operation. However, trained troubleshooters will know how to determine the cause of a breakdown and conduct repairs immediately. Maintain a competitive edge: Customers want to work with businesses that can complete their projects successfully and on time. To maintain your existing clients and attract new ones, you have to ensure that everything is working perfectly. Trained employees will be able to detect problems even before they occur and repair the faulty components. Avoid expensive repairs: Faulty electrical circuits can be expensive to repair, especially if you need professional assistance. However, your trained employees will help you by conducting repairs immediately and seamlessly, and you won’t incur additional expenses. Increase productivity: Employees who are able to maintain and repair electrical circuits and their components will ensure that there is production throughout. Additionally, well-maintained systems have a longer lifespan, which means reduced expenditure. Well-trained employees understand how all components in circuits work. These components include: contactors, push buttons, and different types of switches, motors, relays, and sensors among others. Electrical circuits control all mechanical systems and it’s important that your employees also understand how they work. Through formal training, your employees will be able to determine how electrical circuits work under normal conditions and what changes occur on the circuit operation after changing a circuit input. Your employees will learn how to use different types of testing tools. Choosing a testing tool depends on the type of circuit. One of the most common testing tools that your employees will learn how to use is the multimeter. This tool is able to measure voltage, resistance, capacitance, and current. Apart from learning how to choose the best testing tool, your employees will also know where and when to use it, and how to take readings with it in a safe manner. Increased employee satisfaction: Investing in employee training shows that you value them. Your employees will receive training that they wouldn’t have otherwise acquired by themselves. Therefore, they will feel appreciated and more satisfied with their jobs. Reduced employee turnover: Your employees will feel valued when you invest in them and will be less likely to change jobs. What’s more, training your employees is an added benefit to your business and reduces recruitment costs. Times are tougher financially now than ever before and it’s important that you pay attention to regular maintenance. Unfortunately, the lack of skilled troubleshooters can cause costly breakdowns and repairs. To avoid this, consider training your employees. Visit NTT Training today to improve your employees’ troubleshooting skills.